Students can be placed in renowned companies, universities and research institutions in India and worldwide for their work in Biotechnology and allied fields. Biocon, IFGL Bioceramics Limited, Orbees medical, Invitrogen, Glaxosmithkline, Reliance life sciences, CTS life sciences, Dr.Reddy’s labs, Cipla, Jubilant life sciences, Wockhardt, Torrent pharma, Cadila healthcare, Ranbaxy etc. Center for Cell and Molecular Biology (CCMB), Council for Scientific and Industrial Research (CSIR), Jawaharlal Nehru Centre for Advanced Scientific Research (JNCASR), National Centre for Biological Sciences (NCBS), CSIR - Institute of Genomics and Integrative Biology (CSIR-IGIB), National Institute of Plant Genome Research (NIPGR), National Institute of Oceanography (NIO), National Brain Research Centre (NBRC) , National Environmental Engineering Research Institute (NEERI), National Chemical Laboratories (NCL), National Centre for Cell Science (NCCS), Rajiv Gandhi Centre for Biotechnology ( RGCB), Institute of Microbial Technology (CSIRIMTech) , MS Swaminathan Research Foundation (MSSRF), National Institute of Immunology (NII), AUKBC research centre, Centre for Stem Cell Research (CSCR) etc. Cerner corporation, Unitedhealth Group etc. 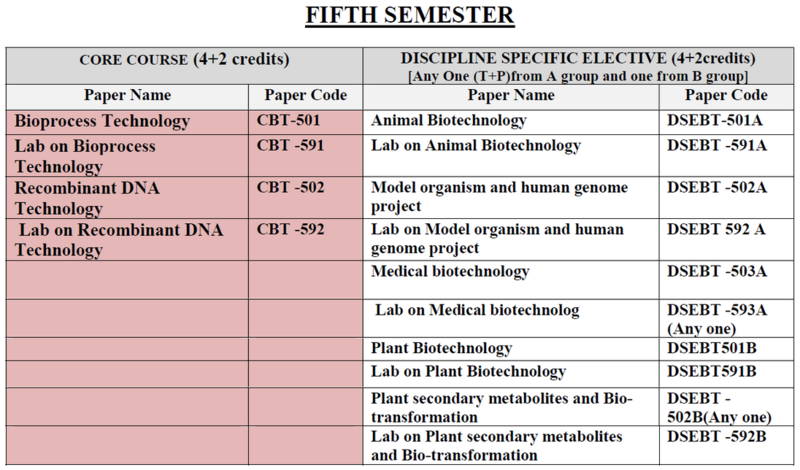 If you are a BSc student in biotechnology or any other biological sciences related fields, it is highly recommended that you pursue your MSc. The job opportunities for BSc graduates in a highly research oriented field as biotechnology is very less and most students tend to pursue their MSc in Biotechnology or a specialized discipline of biotechnology. India is home to some excellent MSc programs such as JNU, DU, IISc, TIFR, IITs etc. With an MSc degree, most students tend to work in research labs and industries as research assistants. The pay package is also quite less for MSc graduates. Since India is still developing, it is highly recommended that you do your MSc in a reputed institution for good campus placements and job opportunities. If your university is not reputed, chances of any biotech company coming for placements will be zero. A BSc degree focuses more on the biological sciences aspect of Biotechnology. 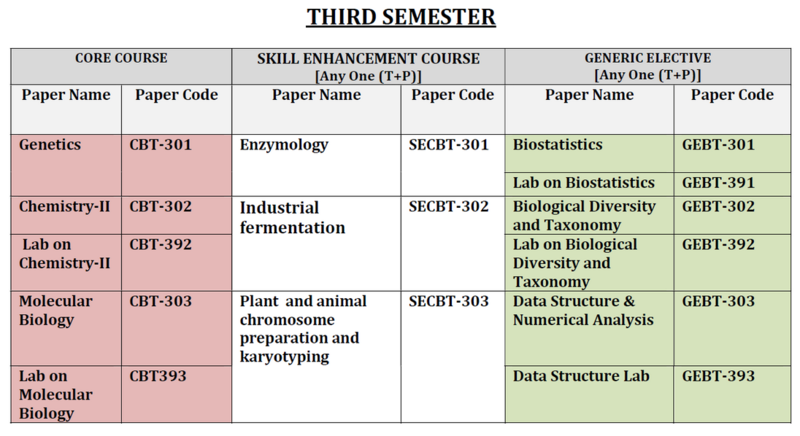 Yes, there will be a few subjects (1 or 2) related to industrial processes but the main emphasis will be on R&D in biological sciences fields such as Biochemistry, Plant and Animal Biotechnology, Microbiology, Molecular Biology and Microbial Genetics, to name a few. 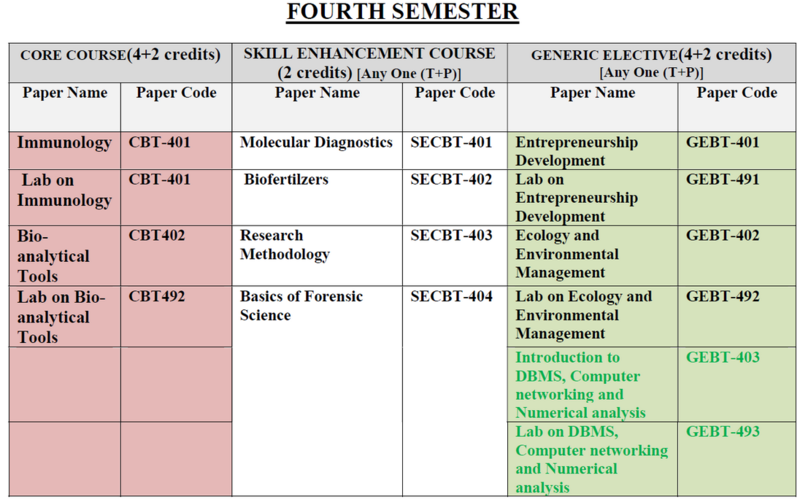 In view of the increasing demand for training manpower in the area of Molecular Biology, Genetic Medicine and Biotechnology, it was consensus of the committee (Faculties & experts) that this course should be broad based and should be able to give a good insight into modern biology and important component of hands-on training to the students. Thus by nature it will be an interdisciplinary course. 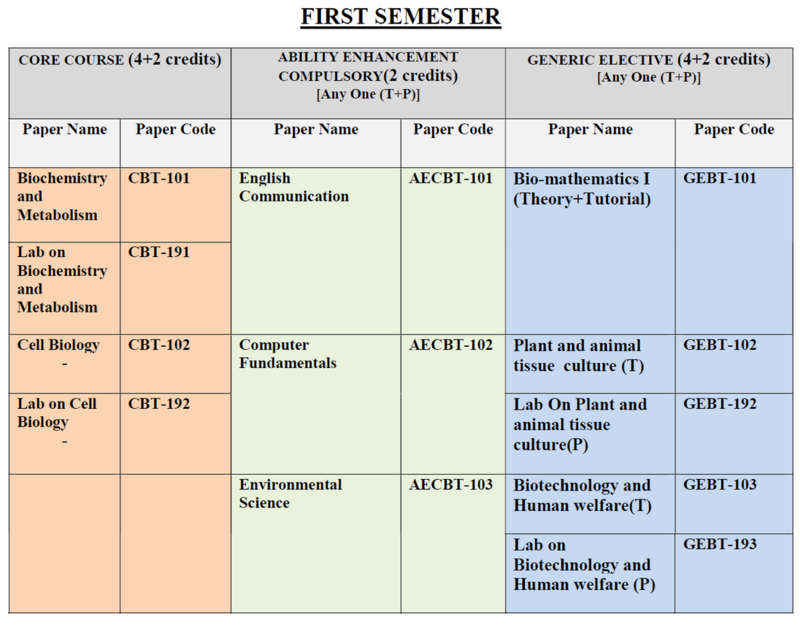 For admission, students from Science stream with 10+2 (HS exam) or equivalent, ISC, CBSE exam will be eligible. 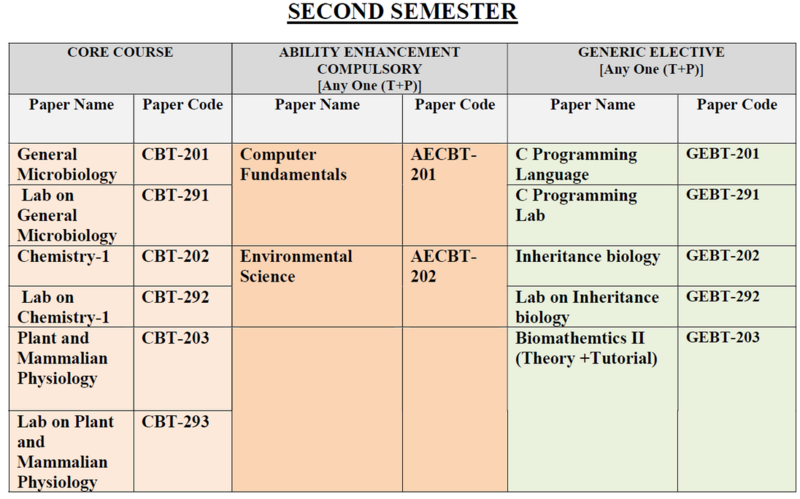 Admission will be through selection test CET (Common Entrance Examination) and also on the basis of the merit. The number of students for this course to be admitted this year will be 60.